Since the referendum result last year, uncertainty has loomed large over Britain’s most vital industries. Undoubtedly, any restrictions on attracting talent from Europe will put UK companies at a significant competitive disadvantage. And nine months after the UK public voted to leave the EU, Article 50 made it a reality. 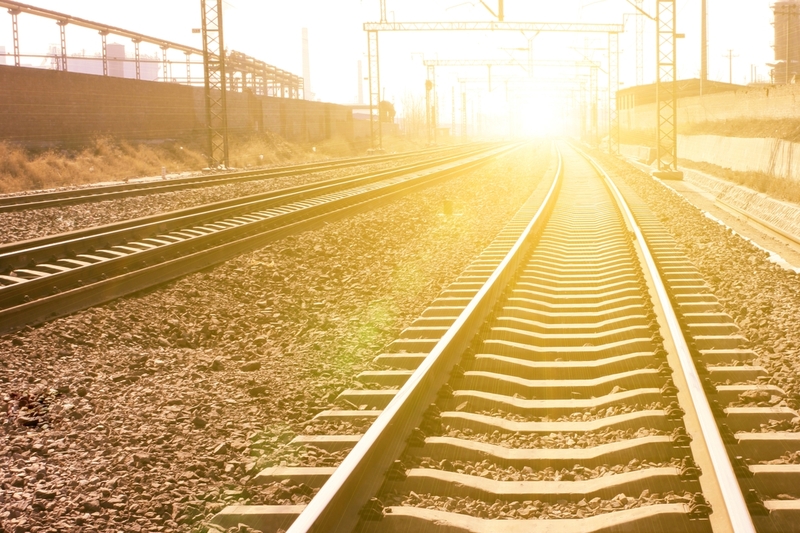 However, as Matchtech’s recent Voice of the Workforce survey has demonstrated, the rail sector has reason for optimism. The survey of 2,500 engineers reports a surge in confidence among those working in the rail sector, with 72% believing that it will grow or increase its revenues over the next 12 months. Beyond those working in the sector, a quarter of all engineers surveyed also believe that rail will see the greatest growth during this period. This may be no surprise given the substantial amount of investment made in rail infrastructure in recent times. This is particularly true in the UK, with Chancellor of the Exchequer Phillip Hammond announcing significant additional funding for transport in his Autumn Statement to Parliament in November. Rail is an industry dominated by major capital investment projects. As a result, when a scheme is given the go-ahead it tends to represent a fixed ‘pool of investment’ which usually spans a number of years and can be less volatile to economic and political uncertainty. The success of Crossrail and the planned HS2 build are of course key to confidence in the sector, although the Chancellor’s National Productivity Investment Fund covers a range of rail programmes across the UK. At the end of January, the Government announced that 25,000 jobs and 2,000 apprenticeships will be created during the HS2 construction. This goes a long way to explaining our Voice of the Workforce finding that 67% of rail engineers feel confident about their career progression within the next 12 months. In light of Mrs May’s ‘hard Brexit’ approach, the question remains whether the UK possesses adequate resources to fill these opportunities. The scale of HS2 is larger than anything the UK has seen previously and, as Crossrail showed us, the skills required are highly specific. Access to labour from the European Union has proved pivotal to filling such requirements in the past. Therefore, it is no surprise that 69% of rail engineers believe there is a skills shortage in their sector, posing a threat to the delivery of this body of work. It is clear that the UK rail industry must implement a number of strategies to combat this skills gap and ensure that confidence remains high. Firstly, it is important that the workforce reflects the wider geographic spread of rail projects. While Crossrail 1, Channel Tunnel Rail Link (CTRL), and other schemes have boosted talent development of engineers, this has focused predominantly on London. Significant progress has already been made in the spread of skills across the UK and a key cornerstone of government approval for HS2 was the promise of jobs and economic growth across the country. The project’s head office is based in Birmingham and a dedicated HS2 college has emerged in Doncaster. Such initiatives should be encouraged to boost the nationwide talent pool. When asked about potential threats to sector growth, 27% of rail engineers surveyed by Voice of the Workforce identified the ageing workforce. This is an issue we are all familiar with and the same personnel have been prominent on CTRL, Crossrail, and now HS2; projects spanning over 20 years. While this experience will continue to be a major asset, it is essential that the industry uses HS2 and other exciting projects as an opportunity to encourage young professionals to choose a career in rail engineering. There is also a wide body of talent across other engineering sectors in the UK that should be drawn upon to supplement those already working in rail. The Crossrail project highlighted the importance of CAD, a skill that is prominent in other infrastructure sectors with high value project work, such as Heathrow Airport and Hinkley Point. Beyond this transfer of skills, the industry must facilitate upskilling, with schemes like those in Birmingham and Doncaster for HS2. Finally, while the movement of labour remains unclear, attracting top talent from outside the UK will be essential to the successful delivery of rail projects. Following Crossrail, recruiters have learned that they need to cast the net wider, even beyond the EU, if they are to fill the roles available. The fundamental focus for our industry in persuading both young engineers and overseas talent to stick around will be promoting HS2 as a career-defining project. There will always be competition and, with an impending Brexit, the UK may look less attractive than before. However, our heritage in the rail industry is something to be proud of and the incoming infrastructure investment underlines our prominence on the world stage. This article was originally published in Rail Professional’s March issue (p.103+4). If you’re interested in exploring our current opportunities, please visit our HS2 and Crossrail project pages.